The first quarter review of monetary policy, while unambiguously articulating a policy stance aimed at controlling the current inflation challenge, also clearly highlights the importance of accelerating investment in the economy to address supply bottlenecks, ease infrastructure constraints and ensure that the supply of goods and services keeps pace with demand, says Ms Chanda Kochhar, Managing Director & CEO, ICICI Bank. 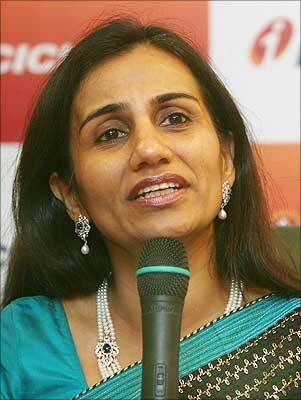 Commenting on the policy and rates’ changes, Ms. Kochhar said these supply side challenges can be addressed only over time and require policy action on several fronts. In the interim, the significant monetary tightening announced today is aimed at cooling inflation and bringing down inflation expectations, even while underscoring the urgency of addressing supply side issues. Policy actions since last year and the systemic liquidity conditions have led to an increase in deposit and lending rates. “In the first quarter, there have been some signs of moderation in credit growth. Going forward, banks would review the movement in funding costs and effect further increases in lending rates based on the same. Overall, the policy clearly indicates that inflation is the top priority and future policy action will also be based on the inflation trajectory. While this is aimed at cooling demand in the near-term and thereby controlling inflation, we must recognize that high growth and rising incomes in recent years have created strong demand momentum in the economy,” Ms. Kochhar added. Ms. Kochhar also urged that as a country we must recognize that it is critical for us to address the long term structural factors, which means investing in infrastructure and production facilities that balance demand and supply, and create a foundation for stable growth with anchored inflation in the future.